/ How Can I Easily Delete My Google Search History? How Can I Easily Delete My Google Search History? Historically what you say has been true: it’s been hard to find, check through and delete your Google search history. As of late October, 2018, however, Google’s cavalier attitude towards customer privacy took a turn for the better and they added search history controls right on the Google home page. Yup, you don’t have to go any further than google.com to check your search history and delete it too, whether just for an hour, or for all time. 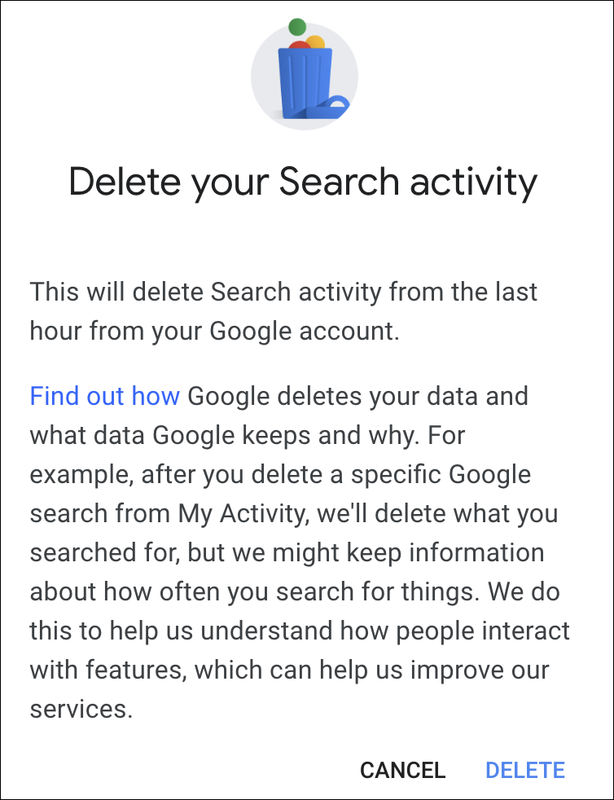 To be clear, you have always had the ability to check and delete your search history, but it used to be deep in the dusty corridors of Google Account Settings (which are still there too, by the way. There’s a LOT that Google tracks to give you the best possible experience, whether you’re using Google Maps, Gmail or Docs). Let’s stop talking about it, though, and actually have a look at what’s changed with this latest tweak and increase in the accessibility of search history! 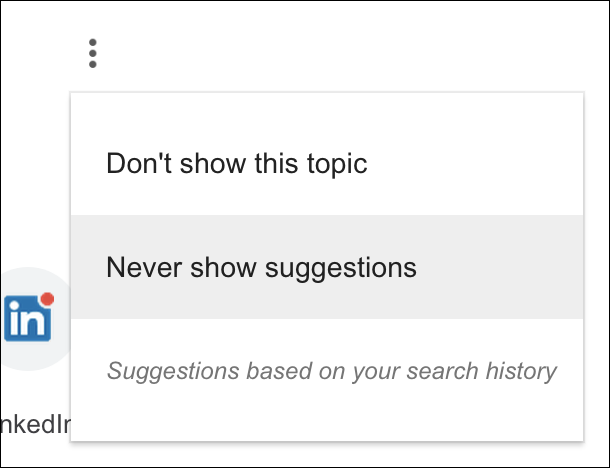 It’s a great thing that you can finally turn off search suggestions: while I personally like it and find them quite interesting (offering keyword research insight among other things, if you’re an SEO person) there are definitely people who don’t like it being so obvious that Google is analyzing what you type, letter by letter. Now you can turn it off with “Never show suggestions“. 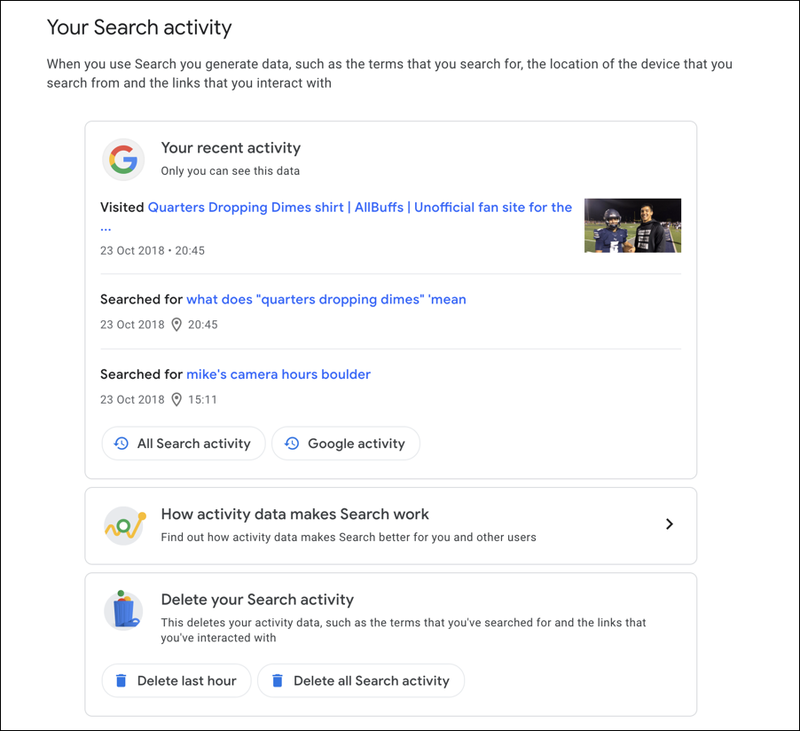 The other thing that’s changed on the home page, and it’s the big one, is the addition of the button on the bottom of the page: “Control your data in Google Search“. Sooooo much more accessible than prior to this change. But I’m going to just click on that wonderful “Delete last hour” option and clear some of my own search history. Seems reasonable enough. Click on “DELETE” and congrats, you’ve just learned how to edit and modify your search history in Google. Way easier than it’s ever been in the history of the search engine company. Pro Tip: I have a huge library of computer basic tutorials and info for you to check out. Please do, while you’re here!